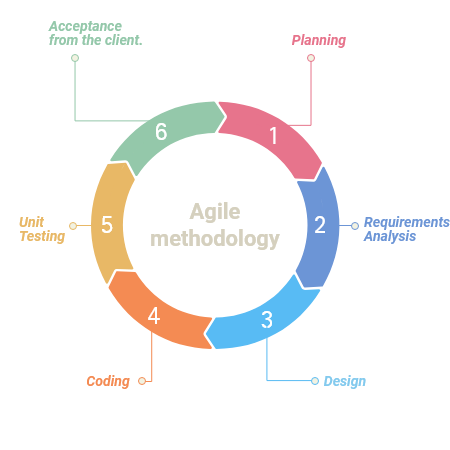 Using Agile methodology we take an adaptive approach where there are planning and clarity on future tasks only in respect of what features need to be developed. There is feature-driven development and the team adapts to the changing product requirements(User Stories) dynamically. The product is tested frequently, through the release iterations, minimizing the risk of any major failures in the future. Tasks received or change requests are done with the approval of both client and our business consultants. Thus each iteration ends with a workable product and is displayed to the customer and important stakeholders for the feedbacks.